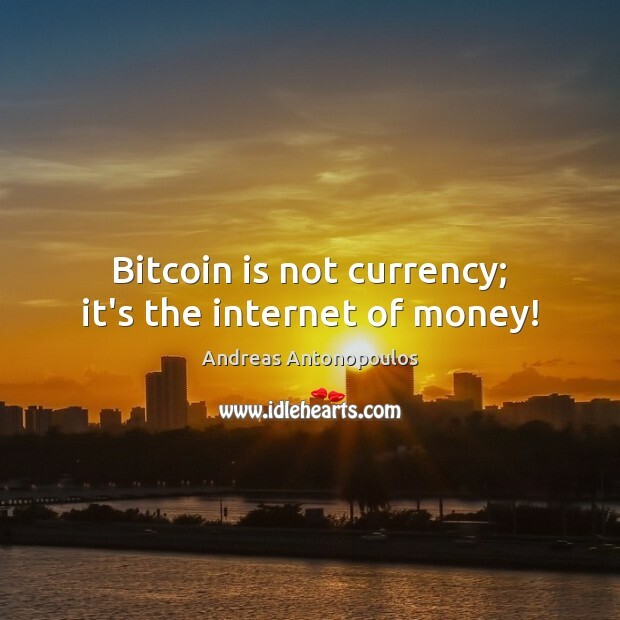 Enjoy the best inspirational, motivational, positive, funny and famous quotes by Andreas Antonopoulos. Use words and picture quotations to push forward and inspire you keep going in life! 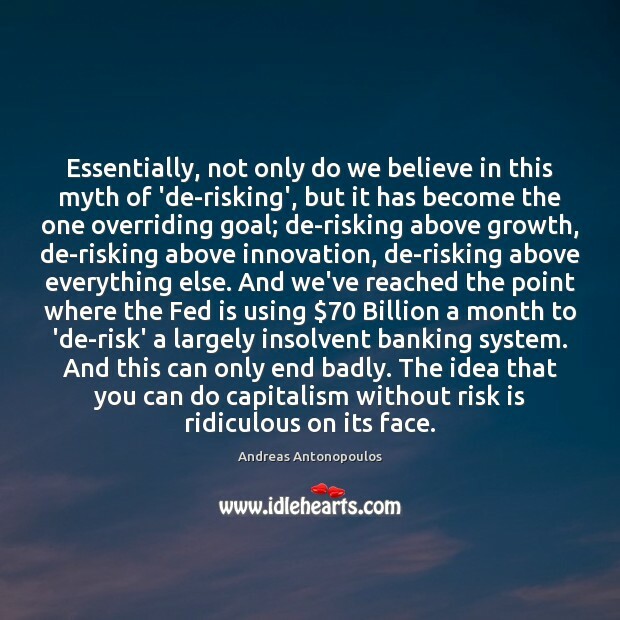 Essentially, not only do we believe in this myth of 'de-risking', but it has become the one overriding goal; de-risking above growth, de-risking above innovation, de-risking above everything else. And we've reached the point where the Fed is using $70 Billion a month to 'de-risk' a largely insolvent banking system. And this can only end badly. The idea that you can do capitalism without risk is ridiculous on its face. Bitcoin is a currency, bitcoin is a network, bitcoin is a technology and you can't separate these things. 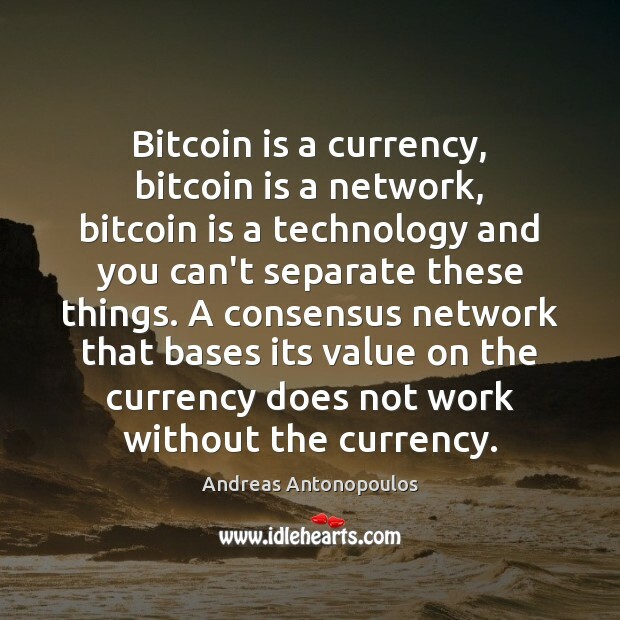 A consensus network that bases its value on the currency does not work without the currency. 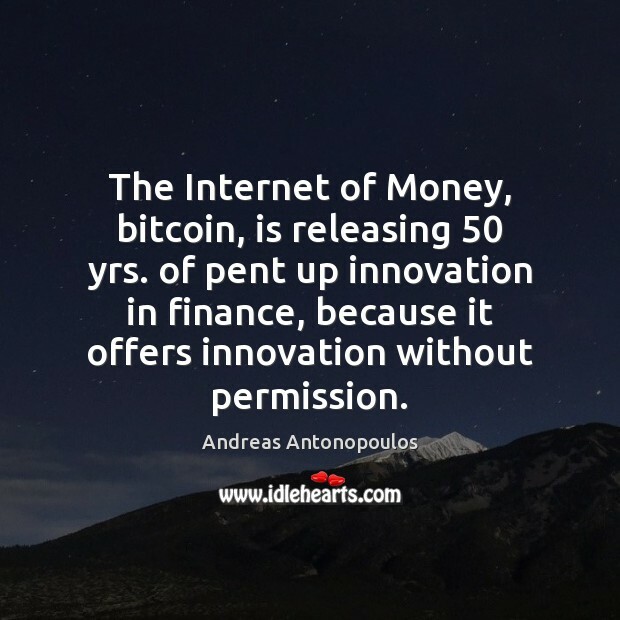 The Internet of Money, bitcoin, is releasing 50 yrs. of pent up innovation in finance, because it offers innovation without permission. 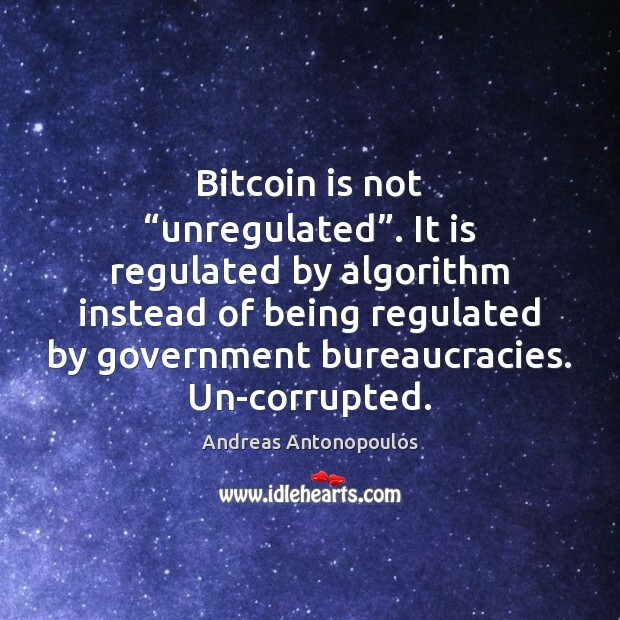 Bitcoin is not “unregulated”. It is regulated by algorithm instead of being regulated by government bureaucracies. Un-corrupted.